Nishitetsu (Nishi-Nippon Railroad) Highway Bus runs from Fukuoka Airport. 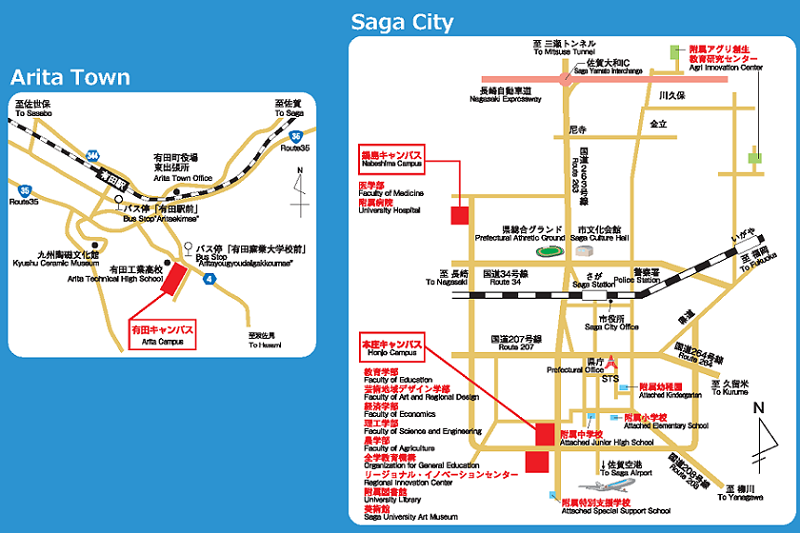 Take the bus bound for Saga Station (Saga Bus Center) (approx. 70 minutes). It costs 1,230 yen for one way. Take a subway from Fukuoka Airport and get off at Hakata Station. It takes about 15 minutes by taxi. It takes about 20 minutes by taxi to Honjo Campus. It takes about 35 minutes by taxi to Nabeshima Campus. 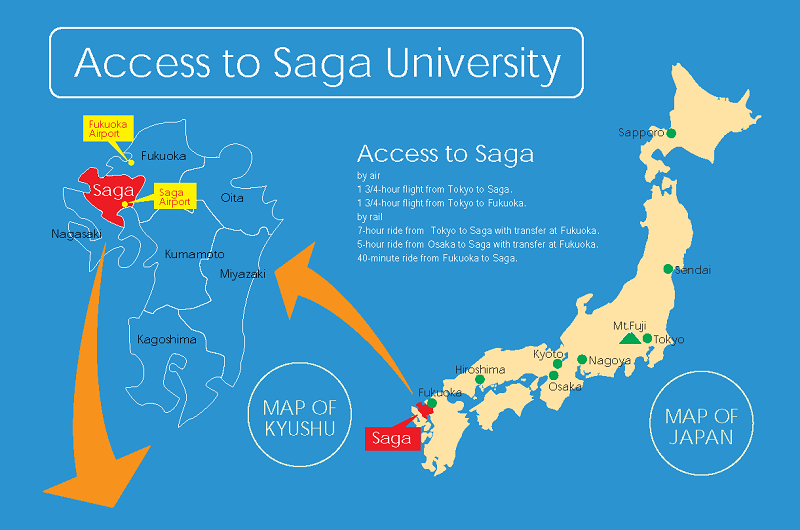 Copyright(C) 2011 Saga University All Rights Reserved.